WASHINGTON (AP) — NASA's Voyager 2 is now the second human-made object to zip away from the sun into the space between the stars. Voyager 2 last month exited "this bubble that the sun creates around itself," longtime NASA mission scientist Ed Stone said Monday. The spacecraft is now beyond the outer boundary of the heliosphere, some 11 billion miles (about 18 billion kilometers) from Earth. It's trailing twin Voyager 1, which reached interstellar space in 2012 and is now 13 billion miles (21 billion kilometers) from Earth. Interstellar space is the vast mostly emptiness between star systems. 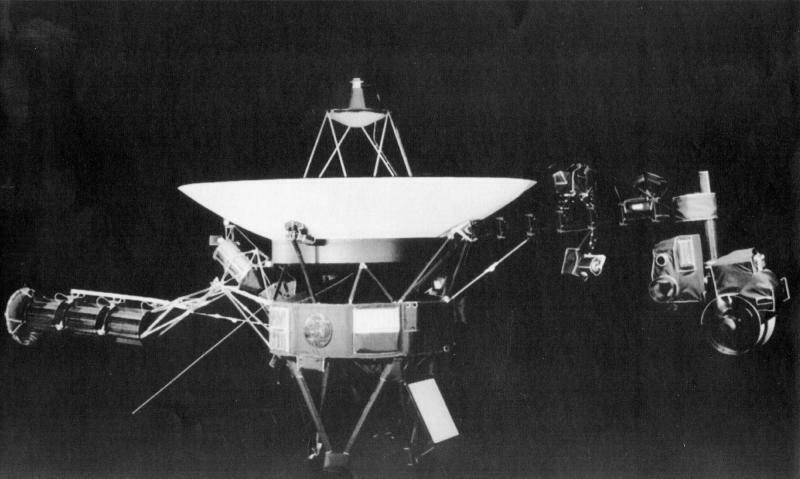 Even though they are out of the sun's bubble, the Voyagers are still technically in our solar system, NASA said. Scientists maintain the solar system stretches to the outer edge of the so-called Oort Cloud. It will take about 30,000 years for the spacecraft to get that far. Scientists know that Voyager 2 has left the sun's influence because of four different instruments that are measuring solar particles and different types of rays. They showed a dramatic change on Nov. 5, indicating the spacecraft was now in between the stars. One of the instruments measures solar plasma and this is the first time NASA saw a drop in that key instrument; the same instrument wasn't working on Voyager 1. The twin Voyagers launched from Cape Canaveral, Florida, in 1977, and zipped by Jupiter, Saturn, Uranus and Neptune. Voyager 2 has already logged more than 18.5 billion miles (30 billion kilometers) on its interstellar trip going 34,191 mph (55,025 kph). "Both spacecrafts are very healthy if you consider them senior citizens," Voyager project manager Suzanne Dodd said. She said the probes should last at least five, maybe 10 more years, but the cold — the temperature outside the vehicles is about 49 degrees below zero (minus 45 Celsius) — and waning power supply will eventually end their usefulness. Yet the two Voyagers will keep travelling and in 40,000 years or so they'll get close to the next stars, or actually the stars, which are moving faster, will get close to them, Stone said.